The Sisters of EVE (SoE) are one of the most mysterious organizations within EVE Online. On the surface they are a religious order who have a strong humanitarian background. They look to the EVE Gate and instinctively know its importance, even if they get it wrong. Within that roiling maw of tachyon emissions and fury, they see the passageway to God. With the rise of the Empyreans, the Sisters saw a new threat to the galaxy. As caretakers of the human race they watched as these newly formed immortals caused untold damage to those who remain mortal. Planets we stripped, crews were sacrificed without a moment’s thought, and Empyreans administered drugs that left their subjects ravaged. The Sisters saw us for what we were, natural disasters in human form. Beneath the surface, the SoE hold more sinister secrets. Regardless of what you believe about them, there is clearly something going on behind the scenes. The relationship between the Serpentis and the Sisters is complicated at best, and they have proven in the past a willingness to work with just about anyone to achieve their goals. Most recently the Sisters have been found occupying a previously unknown wormhole, Thera, and to this day refuse to reveal the true purpose of their research there. The Sisters’ primary goals seem to be research and discovery, they look to the stars and see heaven. No one seems to be more interested in the nature of the wormholes than the SoE, and CONCORD considers them a premier authority on the nature of wormholes and the Sleepers. Their ships are natural exploration ships, and soon they will be commissioning us to research Jovian cellular tissue. So now let’s talk about the SoE in game. They are most well known for being one of the most consistently valuable LP store in the entire game. Even without the SoE ships, the Sisters probes and launchers are staples for any serious explorer. The problem isn’t the value of those LP, it is the method by which they are gained. Most Sisters LP are gained through running missions for them, specifically combat missions. And that is where the logic of the order falls apart and immersion fails. Here we have an order that effectively hates us capsuleers for the disasters we befall upon humanity, hiring us to kill the very humans they claim we are so terrible for. The sisters have goals, and few of them relate to the death of millions of various others including missions against the Empires. The Sisters seek to discover, to explore, and to understand the cosmos like no one else in New Eden. There is a precedent for tying the Sisters to exploration, the Sisters ships can be received by rare drops in Drone sites. At the same time data and relic sites continue to struggle to remain balanced and valuable. Remove combat missions from the SoE, replace them with what I would call “Anomalous Fragments”, and “Unknown Data Entry”. Each of these fragments can be sized per the area they are discovered in. “Insubstantial Anomalous Fragments” can be found in highsec relic sites and turned in at Sisters agents for a Level 1 reward, “Small Anomalous Fragments” can be found in lowsec and are worth a level 2 reward, “Large Anomalous Fragments” are found in nullsec and are worth level 3 rewards, finally “Sleeper Anomalous Fragments” are found in Wormholes and are worth a level 4 mission. Data sites will drop “Unknown Data Entries” on similarly progressing levels. Players can accept the reward as it is, or they can do some of the leg work for the Sisters. Players can make use of a new science and research deployable structure which helps them to evaluate the unknown items. That structure must be deployed in the same type of space that the item is discovered in. You insert the item to let it “bake” for some period of time (roughly 10-30 minutes). During this time the deployable is obviously at risk. It can be probed and destroyed and would have larger signatures while active, possibly to such a degree that they be located with standard core probes. By the time, the “lab” is finished the result is a “Researched Data Entry” or “Analyzed Fragment” which is valued one tier higher than it would be without being researched. 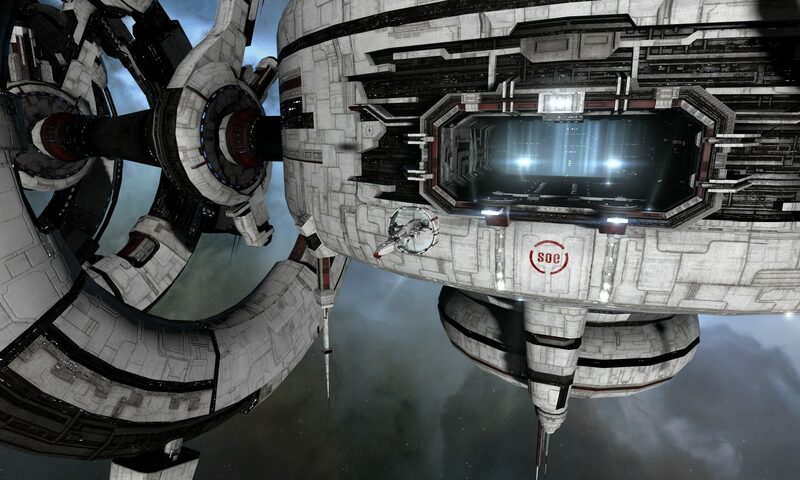 The epic arc as it is still works, the combat there is justified by the events within the story line, and is an important introduction for new players into EVE Online. This brings back the SoE to what they should be, explorers, and scientists, while also providing new interactions in space. This, in combination with the new LP gained from Project Discovery, can easily replace the income lost to players currently grinding level 4 combat missions, and it provides a way to interact with the Sisters that fits their particular flavor. Furthermore this introduces additional balance levers for how valuable data and relic sites are, and provides an opportunity for scientists to establish defended mass laboratories so they can research these fragments on a large scale. Additionally, the items could be expanded upon over time. 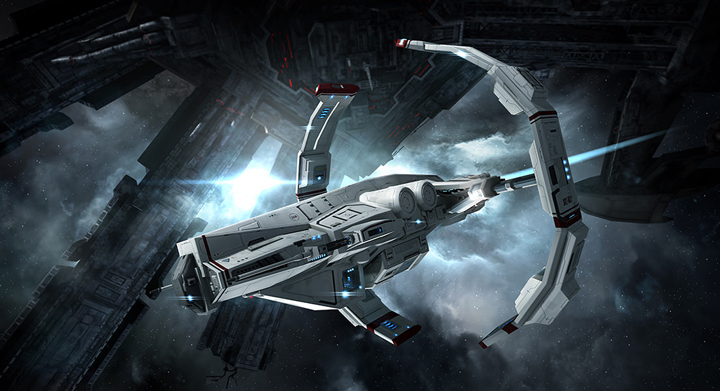 Perhaps discoveries can be made after enough of them have been turned in, and eventually other groups may wish to make their own bids on this valuable information, leaving open possibilities such as the research race that lead to T3 Destroyers. As for a location to turn these things in: Thera is only a wormhole away.